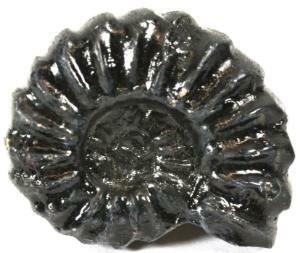 Ammonites grew their shells from calcium carbonate and grew constantly throughout their life span. A relative of octopi and squids today, ammonites swam through the open ocean, preying on smaller marine animals. This fossil replica is perfect for lessons on paleontology and geology. It's also great for use in a fossil dig activity.